Burlington Glass Fabrics (BGF) Industries, a Porcher Industries’ subsidiary, has announced its planned investment of $7 million to relocate its headquarters and research & development (R&D) activities from Greensboro, NC to the City of Danville and Pittsylvania County, VA. BGF Industries was one of the first US-based weavers of fiberglass textiles in 1941. 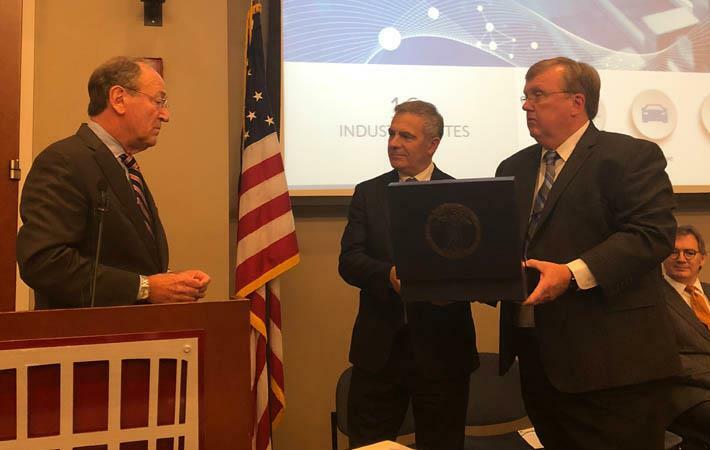 In early 2019, the company will construct a 2,320 square metres purpose-built facility at Cyber Park, owned by the Danville-Pittsylvania county regional industrial facility authority. The move will create 65 new positions, the company said in a press release. Porcher Industries has transformed from a regionally-organised group to a truly global company that meets the needs of the global market place in which it operates. The investment in brand new US headquarters and an advanced technology centre is a key component of this global growth, which will allow improved support and service to the company’s customers in this part of the world. The move follows BGF Industries’ acquisition of a 13,375 square metres manufacturing plant in Virginia last year, and reinforces Porcher Industries’ commitment to the US market. Burlington Glass Fabrics (BGF) Industries, a Porcher Industries' subsidiary, has announced its planned investment of $7 million to relocate its headquarters and research & development (R&D) activities from Greensboro, NC to the City of Danville and Pittsylvania County, VA. BGF Industries was one of the first US-based weavers of fiberglass textiles in 1941.